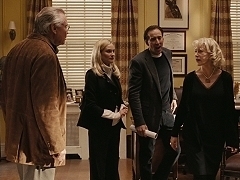 Excerpt from "National Treasure: Book of Secrets", starring Nicholas Cage, Diane Kruger, Jon Voight and Helen Mirren. Outtakes from the making of National Treasure: Book of Secrets. Compilation of promotional interviews with Helen Mirren to promote the theatrical release of "National Treasure: Book of Secrets". 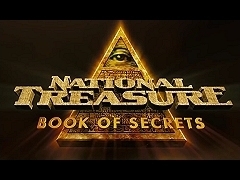 First theatrical trailer for National Treasure: Book of Secrets, starring Nicholas Cage, Diane Kruger, Jon Voigt and Helen Mirren. December 21, 2007. Helen Mirren promotes the release of her autobiography In the Frame: My Life in Word and Pictures. December 2007. Helen Mirren promotes the release of her autobiography In the Frame: My Life in Word and Pictures. December 15, 2007. Helen Mirren promotes the release of her autobiography In the Frame: My Life in Word and Pictures. December 18, 2007. 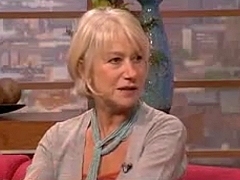 Helen Mirren promotes the release of her autobiography In the Frame: My Life in Word and Pictures. December 18, 2007. 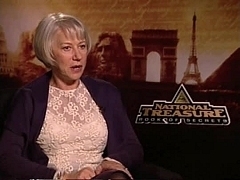 Helen Mirren promotes the release of "National Treasure: Book of Secrets". October 22, 2007. 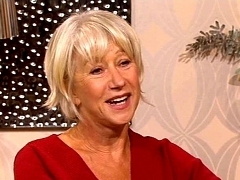 Television special and interview by Andrew Denton with Helen Mirren, talking about her life and career and winning an Academy Award for The Queen. February 27, 2007. 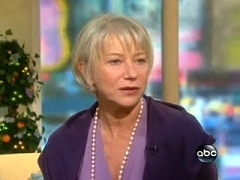 Helen Mirren is interviewed about winning the Academy Award as Best Actress for The Queen. September 21, 2007. 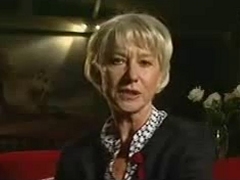 Helen Mirren is interviewed about winning the Academy Award as Best Actress for The Queen. February 26, 2007. Helen Mirren attends the Oprah Winfrey Show the morning after winning the Academy Award for Best Actress, bringing her statuette and gown to the studio. December 01, 2007. 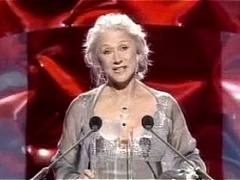 Helen Mirren won European Actress for her performance in The Queen. She accepted her award via satellite. September 28, 2007. 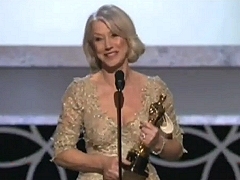 Helen Mirren presents the National Movie Award for Outstanding Male to Daniel Radcliffe. September 16, 2007. 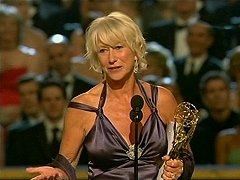 Helen Mirren won Outstanding Lead Actress in a Miniseries or Movie for Prime Suspect: The Final Act. May 21, 2007. Helen Mirren was voted for her film achievement at this one-off awards show on ITV, celebrating the best of British talent. February 25, 2007. 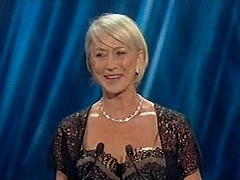 Helen Mirren won Best Actress for The Queen. 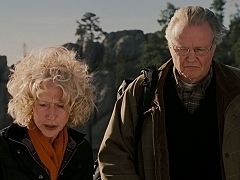 She was nominated alongside Penelope Cruz, Judi Dench, Meryl Streep and Kate Winslet.